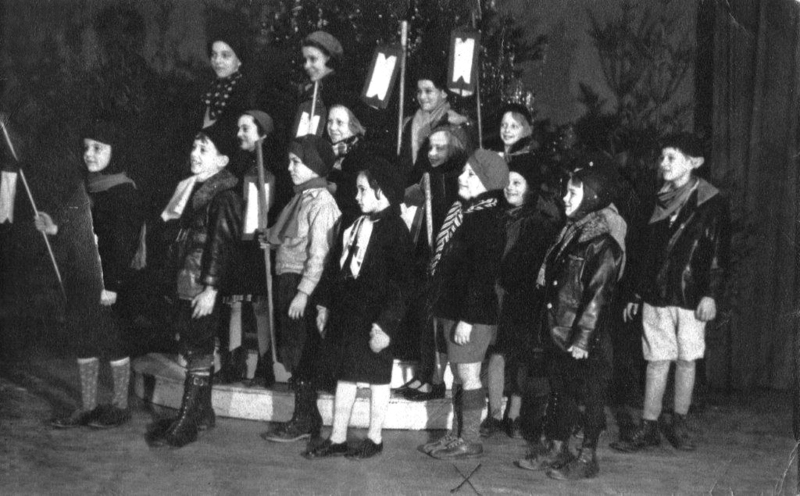 December 1934 Fresh Air School Christmas assembly. Richard Streicher Jr. is in first row marked with an X and Paul Woodside is in the second row behind him. Richard had only ten weeks to live. On March 7, 1935--the day seven-year-old Richard Streicher Jr. went missing--his friend Paul Woodside walked home from school with him. Both boys were enrolled in a special education program called the Fresh Air School at Welsh Hall on the campus of the Michigan State Normal College (now Eastern Michigan University) in Ypsilanti. The History of Special Education at Eastern Michigan University mentions the program as for "children of low vitality." These students had various health or orthopedic conditions which were accommodated in this setting. 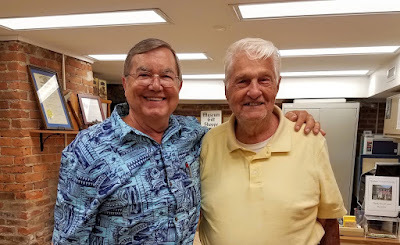 Woodside suggested in an April 23, 2007 interview with Ypsilanti Historical Society docents George Ridenour and Lyle McDermott that he thought Richie Streicher may have had a heart or blood-pressure problem or perhaps he was hyperactive. Woodside recounted how he was awakened by his parents the day after his friend's body was found frozen under the Frog Island Bridge. 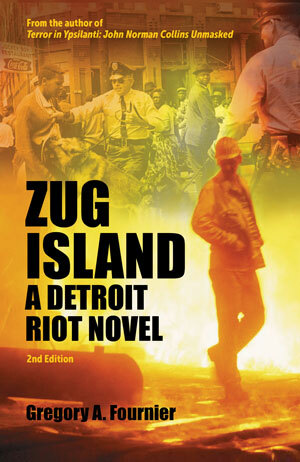 The Ypsilanti Police wanted to interview him, but he knew nothing about Richie's disappearance. Paul said he liked going to Richie's apartment to play with his toys--many of which he and other kids couldn't afford during lean Depression times. Paul remembered Richie's grandparents giving their grandson a pedal-powered motor car but couldn't recollect anything about Richie's parents. Eighty-year-old Woodside said he thinks of Richie often. "I sometimes wish I could go to bed at night and dream what happened and see who did this. Why would someone do this to a seven-year-old kid? 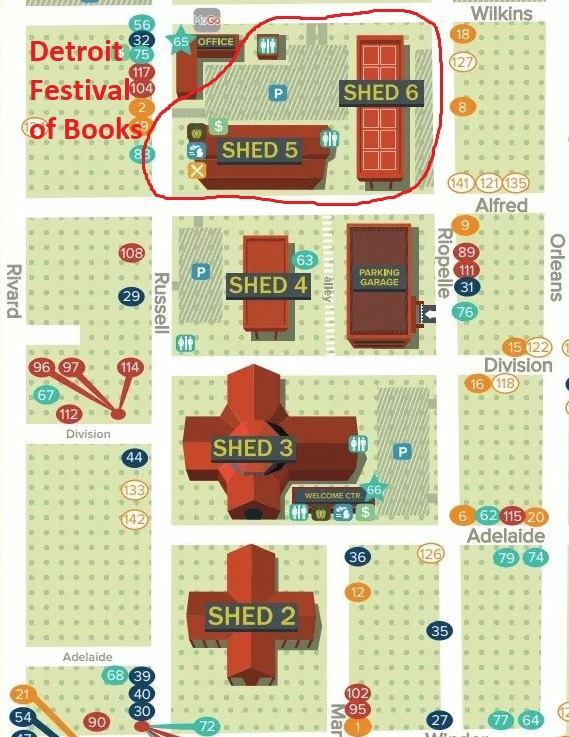 Especially so close to his house. Did Richie see something he shouldn't have seen? How could someone kill him on such a busy, well-lighted street?" These questions have haunted Paul Woodside for over seven decades. After the original news reports of the crime, Woodside said he never heard anything else about the murder. 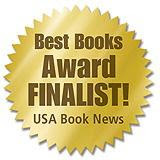 He was unaware that Richie's body was exhumed ten months after his death and that Richie was reburied in an unmarked grave in Highland Cemetery. 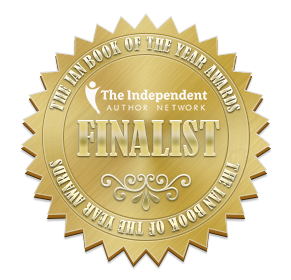 While signing copies of The Richard Streicher Jr. 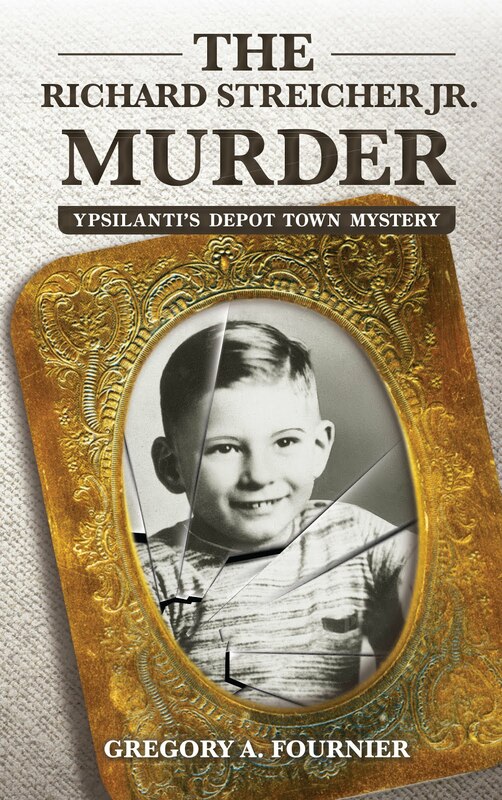 Murder: Ypsilanti's Depot Town Mystery at the Ypsilanti Historical Museum on July 12, 2018, I was about to leave when ninety-one-year-old Paul Woodside walked through the door. 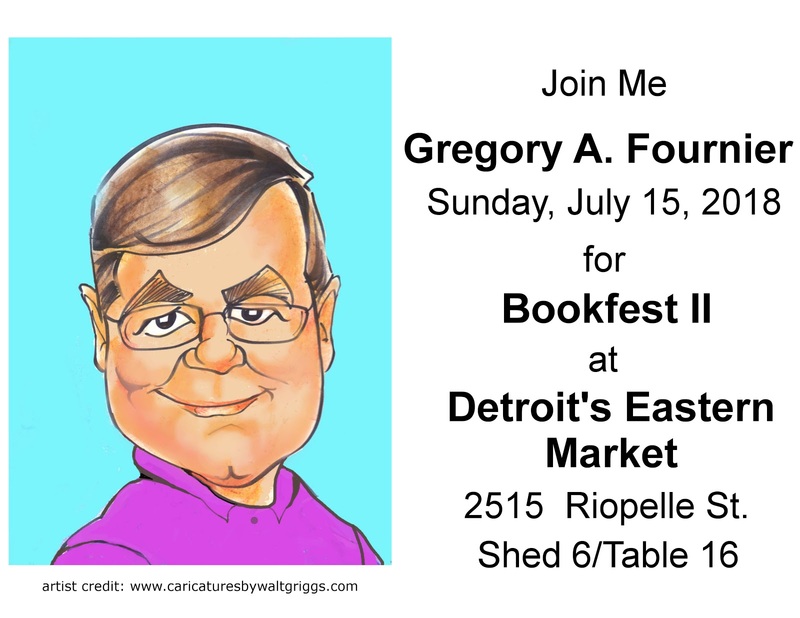 He rushed over from an appointment in Ann Arbor and was afraid he would miss the book signing. 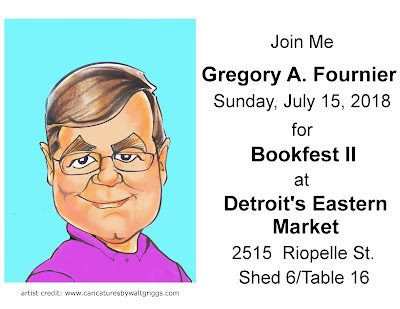 I was fortunate my signing went past four o'clock, so I didn't miss meeting and speaking with Paul. He was interested in my true crime treatment of what happened to his friend eighty-three years before. Paul is the only person I have interviewed who actually knew Richie Streicher. I asked him what Richie was like. Paul Woodside and I at the Ypsilanti Historical Society Archives--July 12, 2018. 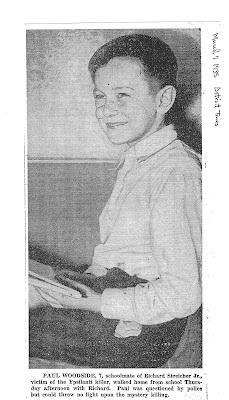 "(Richie) was a very friendly, likeable kid who was well-behaved and somewhat shy, but he enjoyed school life and playing with friends, and he was smart." "Did he ever talk about his mom and dad with you?" "No, we were just kids who liked playing together and didn't talk about adults." Then the conversation turned to Paul Woodside's family roots in the Ypsilanti area which stretch back at least five generations. If you grew up in Ypsi, you probably know a Woodside or two. 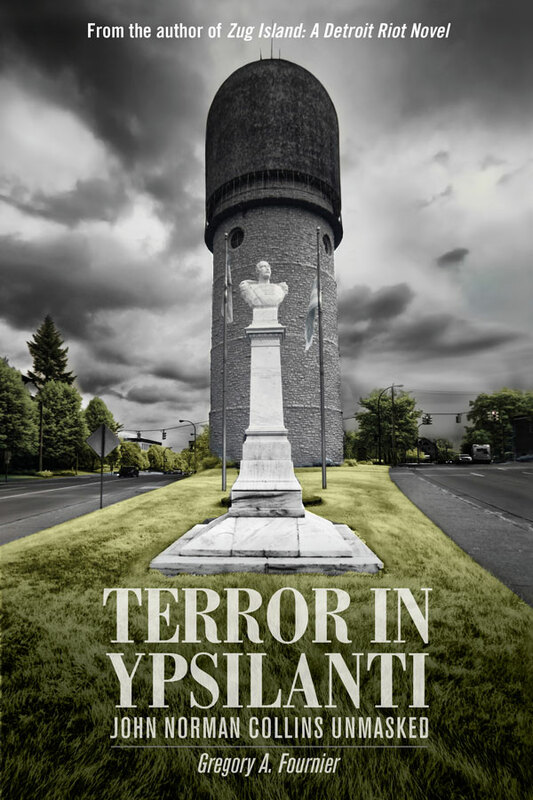 For locals, copies of the Streicher book are available at the Ypsilanti Historical Society on 220 North Huron Street in their basement archives. All proceeds go to the society. Take Interstate 94 to Russell St. exit (216A). Go south for a few blocks. Ample parking nearby. One of my guilty pleasures when flying into Detroit is stopping at the White Castle on Telegraph Road and Northline. My favorite item is the #2 combo--two double-cheese burgers and fries with a medium soft drink. The family-owned chain services the Midwest and Mid-Atlantic states, so most of the country is unaware of this delectable taste treat. Their signature product consists of a thin square of 100% ground beef with five steam holes punched into it. The patty is cooked on a bed of diced onions and topped with a steamed hamburger bun, dressed with dill pickles, mustard and ketchup, and served up in a cardboard sleeve. One food critic called it "French onion soup on a bun." To be honest, either you love them or you hate them. Walter A. Anderson began his restaurant career working at food stands in Wichita, Kansas. In 1916, he bought an obsolete streetcar and converted it into a diner. 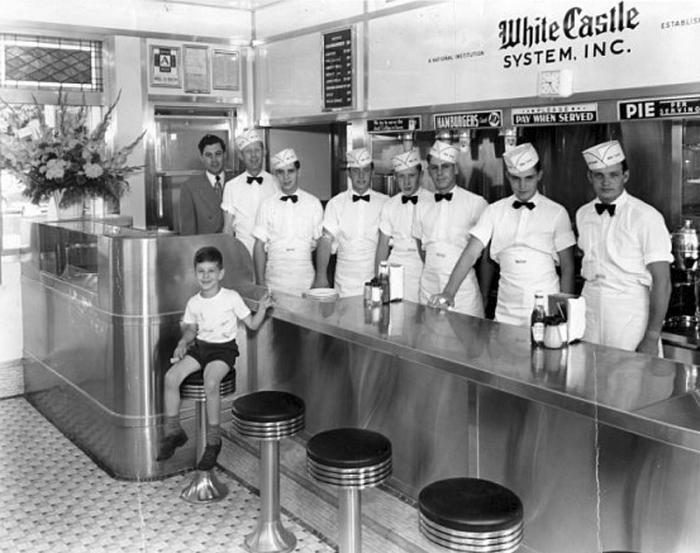 He had opened two more diners by the time he met businessman Edgar Wolds "Billy" Ingram and co-founded the first White Castle restaurant on an original investment of $700 in 1921. 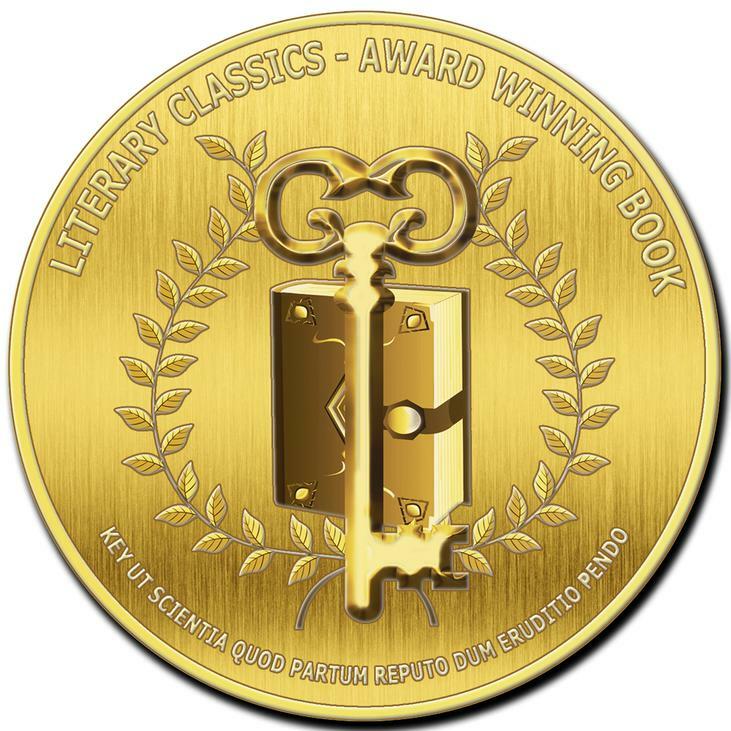 Since the publication of The Jungle by Upton Sinclair in 1906 exposing the unsanitary practices of the meat packing industry in Chicago, Americans were reluctant to eat ground beef. Aware of this, the White Castle founders sought to change the public's perception by stressing cleanliness in their restaurants and high quality ingredients. Their earliest buildings had white enameled brick exteriors and enameled steel counters. By the 1930s, the chain's restaurants were built with prefabricated white-porcelain enameled steel exteriors and outfitted with stainless steel counters. 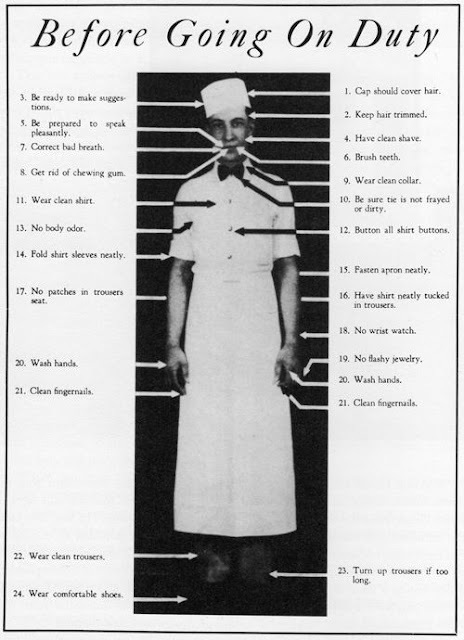 Buildings were designed so customers could see their food being prepared by employees who had to conform to a strict dress code. White Castle produced the first disposable paper hats, napkins, and cardboard sleeves to package their product. Short-order cook Walter Anderson is credited with the invention of the hamburger bun and the assembly-line kitchen which replaced experienced cooks with employees who could operate the griddle with minimal training. Chain-wide standardization assured the same product and service at all their locations. 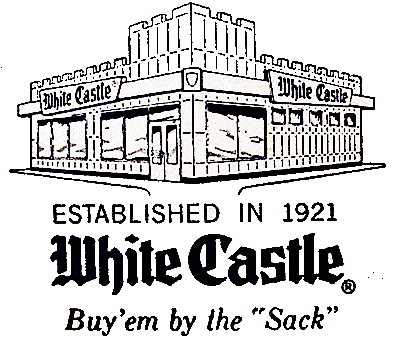 Often imitated but never duplicated, numerous earlier competitors were unable to match White Castle's success. The fast-food industry we take for granted today was unknown in America before the White Castle chain. Anderson and Ingram gave rise to the fast-food phenomenon. There was no infrastructure to support their business expansion, so Anderson and Ingram established centralized bakeries, meat suppliers, branded paper manufacturing, and warehouses to supply their system's needs. In 1933, Anderson sold his half of the business to Billy Ingram. The following year, the company moved its corporate offices to Columbus, Ohio, the center of their distribution area. Ingram's business savvy is credited for the popularity of the hamburger in America. 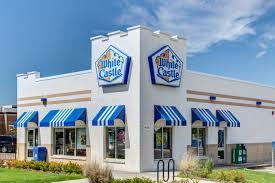 Since the beginning, White Castle has been privately owned, and none of its restaurants are franchised. Founder Billy Ingram retired in 1958 as CEO, followed by his son E.W. Ingram Jr, and then his grandson E.W. Ingram III. In December 2015, Ingram III stepped down and his daughter Lisa Ingram became the fourth CEO of the company. The Ingram family's refusal to franchise or take on debt throughout the company's existence has kept the chain relatively small with only about 420 outlets--all in the United States. By comparison, McDonald's has 36,000 outlets worldwide with 14,000 of those in the United States. 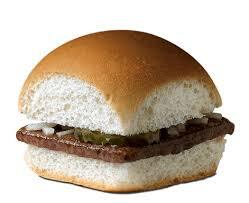 In recent years, White Castle has been selling sliders at supermarkets nationwide. 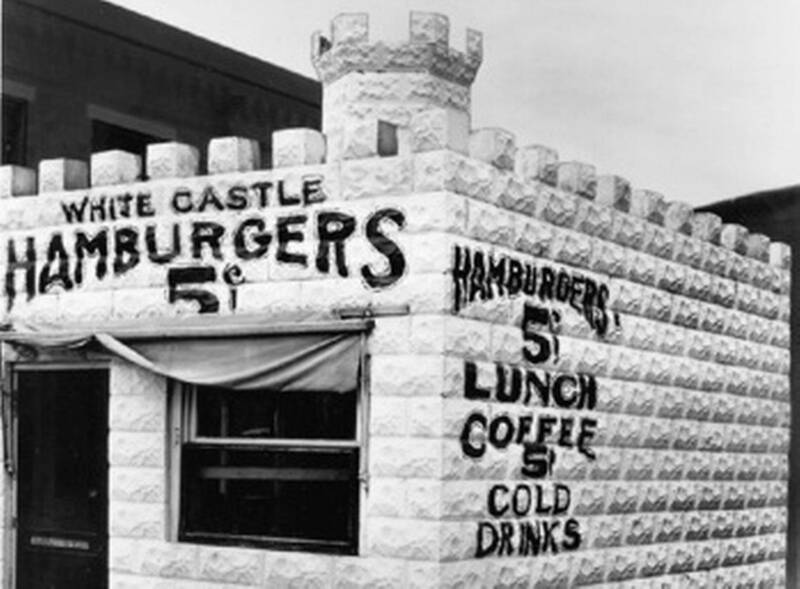 On January 27, 2015, White Castle opened its first outlet in the western United States at the Casino Royale Hotel on the Las Vegas Strip--the chain's first expansion into a different state in fifty-six years. On its first day of business, the restaurant had to close for two hours to restock their depleted supplies. In its first twelve hours of operation, the store sold 4,000 sliders per hour. It appears that I'm not the only one who enjoys this guilty pleasure.